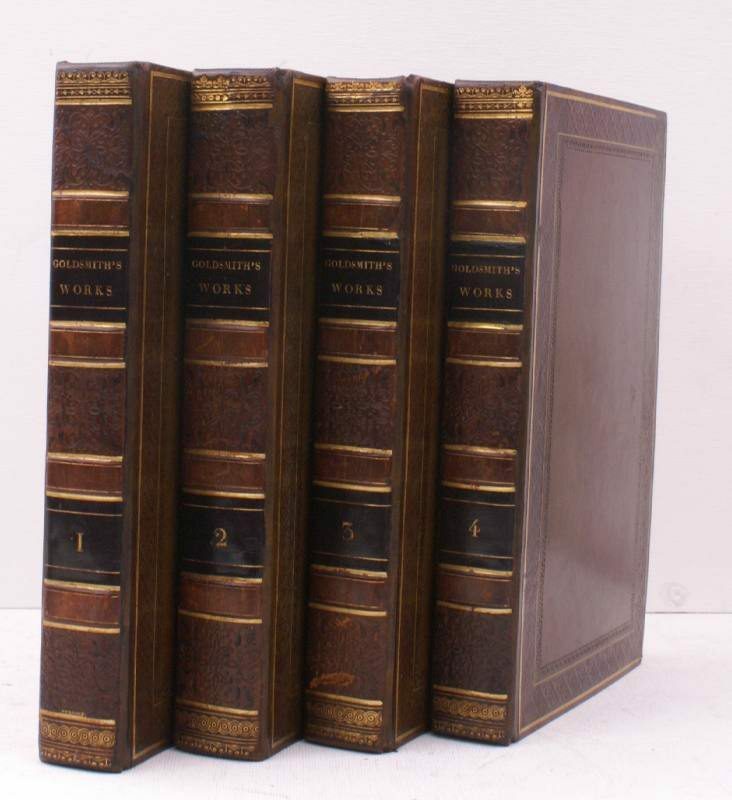 A New Edition in Four Volumes. Edited by Washington Irving. 4 vols., 8vo., First Edition thus, with 2 engraved portraits frontispieces in first volume (original tissue guards present), neat mid-nineteenth century signature on front free endpaper verso, some mild spotting to portraits and guards, some very light age-staining to text; handsomely bound in contemporary olive full calf BY PURGOLD, sides with multiple frame border comprising two gilt frames and two elaborate floral frames in blind, backs with four raised bands ruled in gilt, second compartments with black leather label lettered and ruled in gilt, fourth compartments numbered and ruled in gilt, all other compartments elaborately tooled and ruled in gilt and blind, all edges gilt, gilt doublures, marbled endpapers, sides and backstrips lightly age-scuffed, very neatly rebacked in calf to style with old backstrips laid down, second and third volumes with small patches at head of backstrips, a good, firm example of the great romantic binder's style SIGNED BY PURGOLD AT FOOT OF FIRST BACKSTRIP. He is also, in spirit, as in name, the least French of the three'. (Ramsden, p.6).